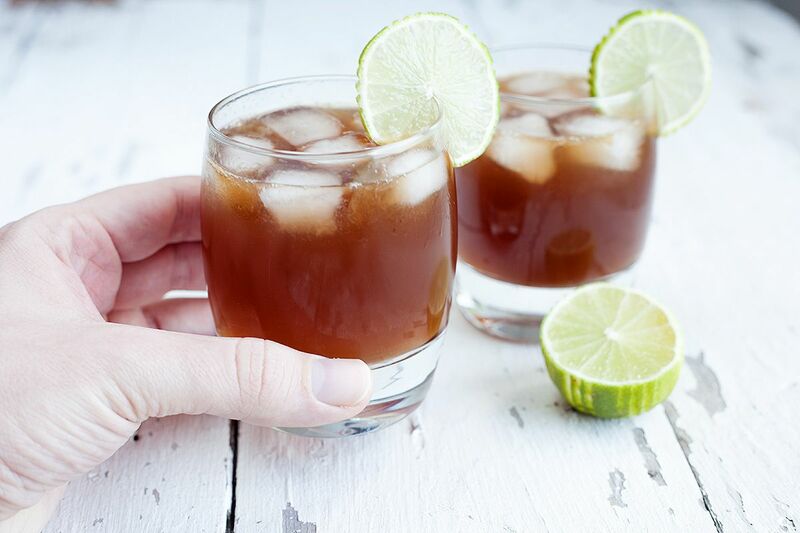 A rum brown sugar lime cocktail is very easy to make. It's a sweet cocktail with lime to make it fresh, ready in 5 minutes and makes two drinks. We thought it would be nice to start publishing beverages and cocktails too! We start out with a cocktail we made from ingredients we just had lying around. It’s easy to make, and ready in about 5 minutes. Even though we don’t have a good name for it yet, we wanted to share this with you anyway. It’s a sweet cocktail with lime to make it taste fresh. 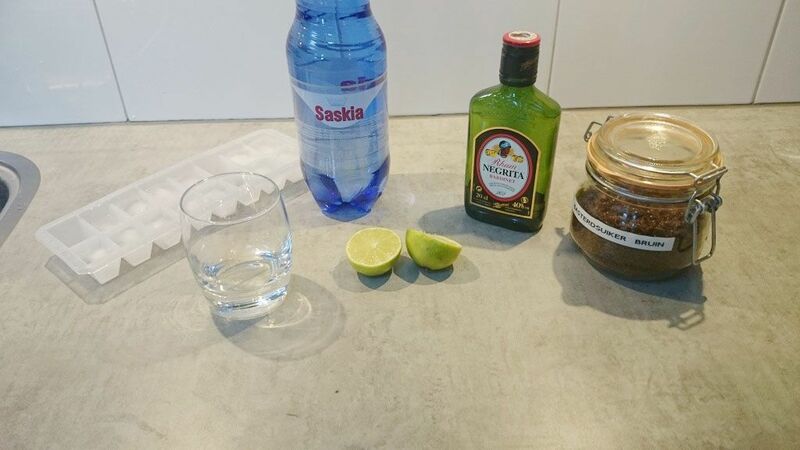 Let’s get started with the rum brown sugar lime cocktail ! There’s not much to it other than to add all of the ingredients together and giving it a good stir! Squeeze juice from 1 lime and pour this into a bowl. Add about a tablespoon of brown sugar -or a little more if you like- and mix together. You’ll notice that the sugar won’t fully dissolve, this is perfectly fine. As you can see in the pictures, we have used two whiskey glasses. 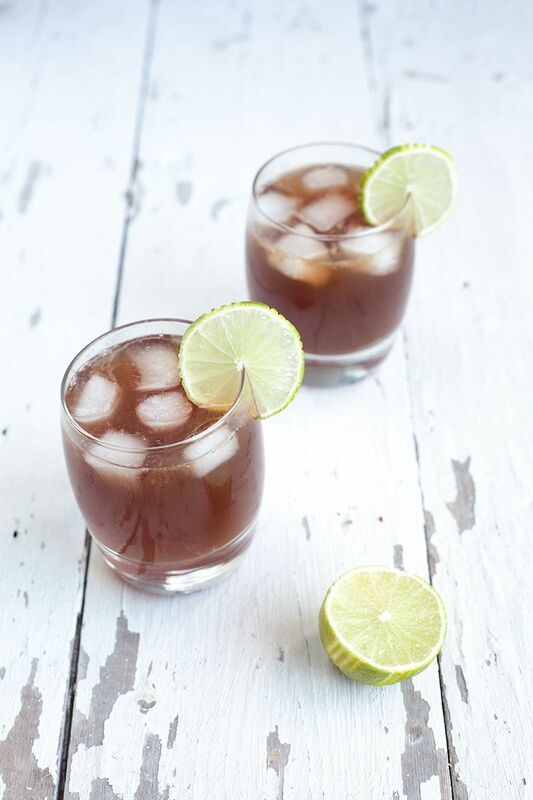 Add 4 or 5 ice cubes into each glass, pour brown rum as much as 1/3rd of the glass. Pour half of the lime and brown sugar mixture in each glass. Fill up to the top with sparkling water. 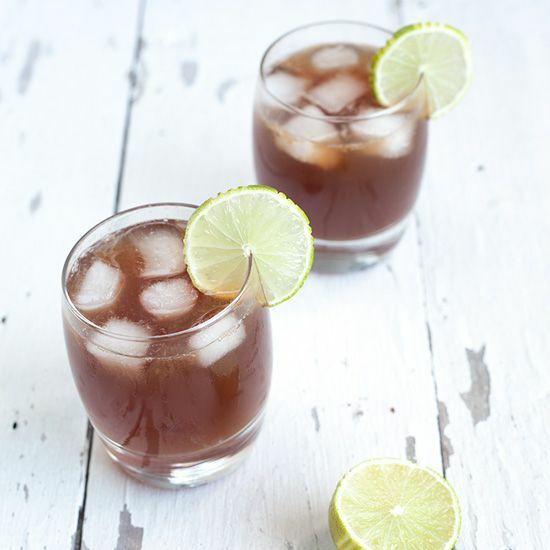 Give it a good stir and enjoy the rum brown sugar lime cocktail! I do something similar, but when you’re using a nice rum I hate to dilute it down with too much water, so I just use fresh squeezed lemon or lime, and maybe 1/2 or 1 tablespoon of brown sugar, mix that until mostly dissolved, add 1.5-2oz of high quality gold or aged rum, several ice cubes, and shake a long time then strain into a cocktail glass. The flavors are more concentrated and I love that it highlights the unique flavors of rum so much. Since we just used regular rum, we liked it with the sparkling water. We agree on the good rum though!